FFA - A Place for Mom stops advertising on Al Jazeera America. Emails of concern sent to urge retirement home officials to stop their referral relationship with A Place for Mom made the difference. A Place for Mom stopped advertising on Al Jazeera America after being targeted by several Florida Family Association email campaigns. Warburg Pincus owns A Place for Mom. Camille Cleveland, legal counsel for A Place for Mom, confirmed in a conversation with Florida Family Association president David Caton that the company has officially stopped advertising. Florida Family Association tapes ten hours of programing on Al Jazeera America every day. The Florida Family Association office communicates with each advertiser no less than once per week. Top advertisers are strategically featured one at a time in email alerts because there are so few of them. One hundred seventy seven (177) companies have stopped advertising on Al Jazeera America. Florida Family Association sent out several email alerts since May 2014 that reported A Place for Mom’s frequent advertising on Al Jazeera America. Thousands of people sent emails to Warburg Pincus officials. However, A Place for Mom continued to be the lead advertiser on the channel. Several retirement home companies have a referral relationship with A Place for Mom. These companies pay a fee to A Place for Mom for the referrals they bring to them from A Place for Mom television advertisements. When A Place for Mom continued to advertise on Al Jazeera America after their officials received thousands of emails, Florida Family Association sent out email alerts that reported the names of the retirement home companies who had a referral relationship with A Place for Mom. The email alerts encouraged supporters to send emails to the retirement home company officials which asked them to discontinue their referral relationship with A Place for Mom. Some of the top retirement home companies that were listed on the A Place for Mom website included: Atria Senior Living, Five Star Senior Living, Merrill Gardens, Senior Lifestyle Corporation, Brookdale Senior Living, Inc., Emeritus Senior Living, Capital Senior Living, Sunrise Senior Living, LLC, AdCare Health Systems, Inc., Holiday Retirement, Marrinson Group, Inc., Visiting Angels, Silverado, Belmont Village and Leisure Living Management. Visiting Angels was the first referral company to respond to the secondary email campaign involving referral retirement home companies. Visiting Angels stopped their relationship with A Place for Mom. Other retirement home company officials also contacted Florida Family Association regarding A Place for Mom's relationship with Al Jazeera America. 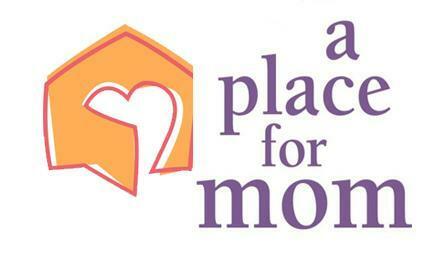 A Place for Mom has stopped advertising on Al Jazeera America thanks to the support of thousands of people who sent emails in response to Florida Family Association's online campaigns. Florida Family Association's monitoring records indicate that the advertisements have stopped.